If the condition is not bothering you or preventing you from being mobile, you may not need treatment (depending on your doctor?s diagnosis). Generally, treatment is reserved for those who have additional problems. Still, your doctor will probably recommend a simple treatment plan for your condition. This treatment may include rest and icing the arch, changing footwear, anti-inflammatory medication, using orthotics, over-the-counter medication such as ibuprofen, physical therapy. Corticosteroid injection (usually used in cases of severe pain). If these methods do not relieve symptoms of flat feet, your doctor may recommend surgery to reduce pain and improve the alignment of your bones. Pain across the bottom of the foot at any point between the heel and the ball of the foot is often referred to as "arch pain." Although this description is non-specific, most arch pain is due to strain or inflammation of the plantar fascia (a long ligament on the bottom of the foot). This condition is known as plantar fasciitis and is sometimes associated with a heel spur. In most cases, arch pain develops from overuse, unsupportive shoes, weight gain, or acute injury. If arch pain persists beyond a few days, see a foot and ankle surgeon for treatment to prevent this condition from becoming worse. A common cause of foot arch pain is a stress fracture. They tend to occur from repeated overloading of one of the foot bones from activities such as jumping and running especially if you have suddenly increased your activity level. The breaks in the bone may be small but they can be extremely painful. Stress fractures of the metatarsal bones or the navicular can cause anything from mild to severe foot arch pain. The Tibialis Posterior muscle plays a very important role in supporting the medial arch of the foot. Posterior Tibial Tendonitis can occur either through repetitive use e.g. high impact sports such as soccer or tennis, or from an injury e.g. a fall. This causes the tendon to become inflamed or even torn, resulting in pain on bottom of foot. This pain usually gets worse with activity or when standing for long periods. If the problem persists, the inner side of the foot (known as the medial longitudinal arch of the foot) gradually collapses down, causing flat feet. A simple test for this condition is to stand on one leg and rise up onto your tiptoes. If you cannot, it indicates a problem with the Posterior Tibial tendon. Treatment usually consists of rest, ice, exercises, orthotics and physical therapy. Common symptoms of plantar fasciitis include pain in the morning when you first get out of bed, pain and stiffness when you start to walk after sitting for a while, increasing arch or heel pain toward the end of the day, tired feet at the end of the day. Other causes of arch and heel pain include arthritis, infection, fractures and sprains, and even certain systemic diseases. Since there are multiple possible causes, you should see your podiatrist for a thorough evaluation if you are experiencing arch or heel pain that does not respond quickly to early treatment. There are several things that you can do to prevent and treat arch pain. This includes Avoiding high heeled shoes, Stretching the calf muscles regularly, Wearing well fitted, comfortable shoes, Using customisedorthotic devices or shoe inserts, Elevating the feet and applying ice and taking over-the-counter anti-inflammatory medications. You can also care for your feet by paying attention to any changes in your feet as you get older. It is normal for feet to lose some of their fat pads as a person ages. Your feet may get bigger, both wider and longer as well. Make sure that you wear shoes that are sturdy, but comfortable, and have your feet measured before you buy shoes to make sure that you are still wearing the right size. Shoe sizes vary from one brand to the next, so it is a good idea to have your feet measured every time you purchase shoes. When choosing shoes, match the shoe to the activity for which it will be worn. Within the broader grouping of athletic shoes, there are different categories with different features. For example, a running shoe has different features than a walking shoe. You may develop some arthritic changes in your feet over time, too. If you notice that you are experiencing more pain in your feet, see your doctor for an evaluation. If the pain is arthritis-related, your doctor may recommend medication or other treatment to slow the progression of the arthritis. Massage therapy is a great way to loosen muscles and help improve mobility in in your feet. As many people with foot pain have discovered, tight muscles in your legs or back can lead to tense foot muscles. All those muscles are connected, so tension in your back can cause tension in your legs which can pull the tendons in your feet and cause stiffness and pain. Getting acupuncture or a professional full body massage are probably the best ways to deal with this, but there are also some simple tricks you can do at home to help keep muscles limber. These are great for loosening up and improving circulation, both before and after exercise. Place a tennis ball under the arch of your bare foot and roll it around, stretching the muscles in your foot and promoting blood flow. You can also roll the ball under your calves and upper legs to work out stiffness and knots. If you feel the tennis ball is too easy, try a lacrosse ball for deeper massaging. This is also demonstrated in the exercise video above. Use a foam roller, those big overpriced rolls of foam that are now available in every department and sporting goods store are fantastic for self-massage (why a roll of foam costs $30 is beyond us, but they do work wonders-our advice is to not waste money on the more expensive fancy grooved ones because even the simplest rollers work great). The exercises you can do with foam rollers seem to be endless, and there are literally hundreds of free videos online showing how to use them to massage every part of your body. 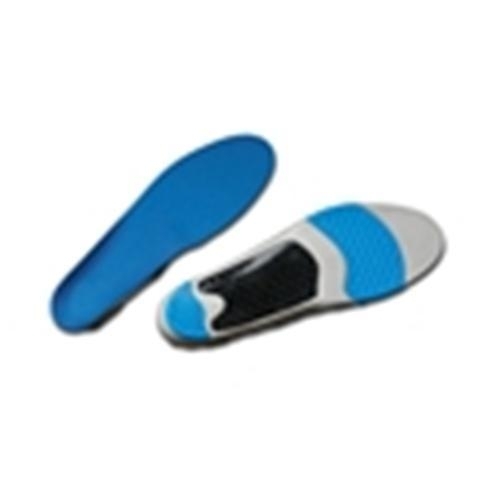 Here's one we picked out that specifically targets foot and leg muscles related to arches and plantar fasciitis. The primary symptom is pain or aching in the arch area. This can be accompanied by inflammation and tenderness. If the pain is caused by the plantar fascia, it is likely to be considerably more severe in the mornings due to the muscles being unused. What Are Usually The Main Brings About Regarding Adult Aquired FlatFoot ? Adults by getting an acquired flatfoot deformity might current not really using foot deformity however almost uniformly using medial foot pain as well as decreased function in the affected foot (for a new listing of brings about of an acquired flatfoot deformity throughout adults. Patients whose acquired flatfoot is actually associated having a much more generalised health-related issue tend to obtain his or her diagnosis and are referred appropriately. However, inside patients whose ?adult acquired flatfoot deformity? is a consequence of damage to the structures supporting the medial longitudinal arch, the particular diagnosis is actually usually not made early. These types of patients tend for you to be normally healthier and also tend to become relatively more affected by the loss involving operate resulting coming from an acquired flatfoot deformity. Your most common cause involving an acquired flatfoot deformity in an otherwise wholesome adult is actually dysfunction with the tibialis posterior tendon, and in addition this review provides an overview in order to its diagnosis and treatment. As the identify suggests, adult-acquired flatfoot occurs as quickly as musculoskeletal maturity will be reached, also it can easily present for any quantity of reasons, although one stands apart among the others. while fractures, dislocations, tendon lacerations, as well as other such traumatic events do give rise to adult-acquired flatfoot as a significant lower extremity disorder, as mentioned above, damage towards the posterior tibial tendon is actually most frequently with one's heart regarding adult-acquired flatfoot. 1 study further elaborates on the issue simply by concluding in which ?60% regarding patients [presenting with posterior tibial tendon damage and adult-acquired flatfoot] had been obese or even had diabetes mellitus, hypertension, prior surgery or perhaps trauma for the medial foot, or treatment method using steroids?. Pain and swelling across the inside aspect with the ankle initially. Later, the arch of the foot may fall (foot gets flat), this adjust results in strolling for you to turn out for you to be tough as well as painful, too as standing for extremely long periods. While the flat foot gets to be established, pain may progress to the outer section of the actual ankle. Eventually, arthritis might develop. Perform a new structural assessment with the foot and also ankle. Verify the ankle for alignment as well as position. While it comes to be able to patients using severe PTTD, your deltoid provides failed, causing an instability in the ankle and possible valgus in the ankle. This particular can end up being a rare along with challenging problem to always be able to address. However, if one misses it, it may result in dire consequences along with prospective surgical failure. check the heel alignment and place with the heel both loaded and also throughout varus/valgus stress. Examine selection of motion of the heel to the typical contralateral limb. Verify alignment in the midtarsal joint with regard to collapse along with lateral deviation. Noting the actual degree of lateral deviation compared to the contralateral limb is crucial regarding surgical planning. Examine midfoot alignment in the naviculocuneiform joints and metatarsocuneiform joints both with regard to sag along with hypermobility. Treatment will change depending about the degree of your own symptoms. Generally, we would make use of a combination of rest, immobilization, orthotics, braces, and also physical therapy to start. The Particular objective will be to keep swelling as well as inflammation in order along with restrict the strain around the tendon whilst it heals. Avoidance associated with activities in which anxiety your tendon is going to be necessary. When your tendon heals and anyone also resume activity, physical therapy will further strengthen the particular injured tendon and assist restore flexibility. Surgery may be necessary in the large event the tendon can be torn or doesn't reply about bat roosting conservative therapy methods. Your Own posterior tibial tendon is actually important with regard to normal walking. When it is injured in almost any way, anyone danger losing independence and also mobility. Keep your current foot well being a premier priority along with address just about any pain as well as problems quickly. Perhaps minor signs and symptoms could progress directly into chronic problems, consequently don?t ignore your own foot pain. Surgical intervention for adult acquired flatfoot is acceptable when there will be certainly pain and swelling, and the patient notices that certain foot looks diverse from one other as the arch can be collapsing. Because many as 3 throughout four adults with flat feet eventually need surgery, and it?s better to have the joint preservation procedure done before the arch entirely collapses. Throughout nearly all cases, early and appropriate surgical treatment method will be productive in stabilizing the actual condition. Which are The Leading causes Regarding Adult Aquired Flat Feet ? Adult flatfoot identifies a deformity that will develops after skeletal maturity can be reached. Adult flatfoot needs for you to be differentiated from constitutional flatfoot, which can be a typical congenital non-pathologic foot morphology. You can easily find numerous leads to involving acquired adult flatfoot, including fracture or perhaps dislocation, tendon laceration, tarsal coalition, arthritis, neuroarthropathy, neurologic weakness, along with iatrogenic causes. Causes associated with an adult acquired flatfoot may include Neuropathic foot (Charcot foot) secondary in order to Diabetes mellitus, Leprosy, Profound peripheral neuritis involving any cause. Degenerative changes in the ankle, talonavicular or even tarsometatarsal joints, or perhaps both, secondary in order to Inflammatory arthropathy, Osteoarthropathy, Fractures, Acquired flatfoot resulting through loss in the supporting structures with the medial longitudinal arch. Dysfunction with the tibialis posterior tendon Tear with the spring (calcaneoanvicular) ligament (rare). Tibialis anterior rupture (rare). Painful flatfoot can easily possess additional causes, for example tarsal coalition, nevertheless as such a individual will not current using a alter inside the shape of the particular foot these aren't included here. The symptoms of PTTD can include pain, swelling, a flattening with the arch, plus an inward rolling of the ankle. Since the issue progresses, the symptoms will change. for example, when PTTD initially develops, there can be certainly pain on the inside with the foot along with ankle (along the length of the tendon). in addition, the location could become red, warm, and also swollen. Later, because the arch actually starts to flatten, there could nevertheless be pain about the inside of the foot along with ankle. Yet at this point, the actual foot along with toes start to turn outward and also the ankle rolls inward. As PTTD gets to be more advanced, the arch flattens a lot more as well as the pain often shifts for the outside the foot, below the actual ankle. Your tendon has deteriorated considerably and arthritis frequently develops in the foot. Within much more severe cases, arthritis might also develop within the ankle. The adult acquired flatfoot, secondary in order to posterior tibial tendon dysfunction, can be diagnosed in the number of ways with no single test verified to become completely reliable. Your many accurate diagnosis is manufactured with a skilled clinician utilizing observation and on your job evaluation in the foot and ankle. Observation in the foot in a strolling examination is the majority of reliable. the affected foot appears much more pronated along with deformed in comparison to the unaffected foot. muscle screening will show a new power deficit. An straightforward test to execute within the workplace will be the single foot raise. A New affected person is actually asked to step using full physique weight on the symptomatic foot, keeping the unaffected foot off the ground. the affected person is then instructed for you to "raise up around the suggestion toes" with the affected foot. In the actual event that your posterior tibial tendon may be attenuated or perhaps ruptured, the affected person will be not in any position to lift the actual heel off the floor along with rise onto the toes. in docile cases, the actual patient will be capable of rise about the toes, nevertheless the heel is not going to become noted for you to invert as it normally will whenever we rise on the toes. X-rays can easily be of use but are not diagnostic with the adult acquired flatfoot. 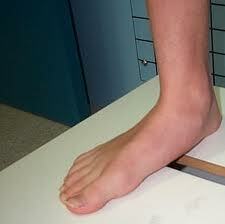 Each feet - the symptomatic along with asymptomatic - will demonstrate a flatfoot deformity on x-ray. Cautious observation may display a new greater severity associated with deformity around the affected side. Nonoperative therapy regarding posterior tibial tendon dysfunction continues to be shown in order to yield 67% good-to-excellent results in 49 patients using stage two and also three deformities. Any rigid UCBL orthosis having a medial forefoot post was adopted inside nonobese patients along with flexible heel deformities correctible in order to neutral as well as under 10? regarding forefoot varus. A New molded ankle foot orthosis was utilized throughout obese patients together with fixed deformity as well as forefoot varus greater than 10?. Typical duration associated with orthotic use had been 15 months. 4 patients ultimately elected to have surgery. Your authors concluded that will orthotic management is successful within older low-demand patients along with that surgical treatment method could be reserved for anyone patients that fail nonoperative treatment. If cast immobilization fails, surgery will always be the next alternative. Treatment Method objectives contain getting rid of pain, halting deformity progression as well as improving mobility. Subtalar Arthroereisis, 15 minute outpatient procedure, could right versatile flatfoot deformity (hyperpronation). The Particular procedure involves placing an implant under the particular ankle joint (sinus tarsi) in order to prevent abnormal motion. Really small recovery period is necessary and it is very reversible if necessary. Request your current Dallas foot doctor for additional details relating in order to this exciting remedy possibility. One of the most common foot maladies people suffer from is plantar fasciitis. This condition arises when undue stress is placed on the ligament in your foot that supports your arch, the "plantar fascia". When that ligament is overworked it leads to the classic symptoms of heel and arch pain which worsens when you get up to walk after periods of rest. This isn't the kind of pain you experience after being on your feet all day at work or walking around Disneyland with your kids. The pain from plantar fasciitis is often intense and debilitating. It is also surprisingly common. Two million Americans suffer from plantar fasciitis every year and 10 percent of the population will experience it in their lifetime. It has become recognized as one of the most chronic and, often times, most difficult foot problems to treat. The most common cause of arch pain is plantar fasciitis. Plantar fasciitis is inflammation of the fibrous band of tissue that connects the heel to the toes. Sufferers of plantar fasciitis typically feel pain early in the morning when they first get out of bed. Another common cause of arch pain is fallen arches or flat feet. Fallen arches result in the sole of the foot becoming flat so that the entire sole of the foot touches the ground. Fallen arches can lead to pain in the ankles, knees, feet, and even in the legs. While fallen arches are often inherited, for some it develops as a result of wear and tear on your feet. Wearing shoes without proper metatarsal support, or arch support, can overstretch the tendon that supports the arch causing the arch to flatten out. Foot surgery is difficult, especially when large amounts of deformity correction are needed. The ability to bring the foot into a new position may not be lasting, even if everything looks perfect in the operating room. The goal is to provide improved position and function of the foot and ankle. In some patients with very severe deformity, the goal is a foot that functions well in a brace. There are complications that relate to surgery in general. These include the risks associated with anesthesia, infection, damage to nerves and blood vessels, and bleeding or blood clots. Particular complications associated with cavus foot surgery include incomplete correction of deformity, return of deformity and incomplete fusion. The number one cause of arch pain is Plantar Fasciitis, and you'll be glad to know that more than 90% of cases of this painful condition can be resolved with simple, conservative at-home treatments. While extremely severe cases of Plantar Fasciitis may require cortisone injections or surgeries, most people can experience quick relief and eventual recovery with the right combination of non-invasive therapies. If you've ever seen your footprints in the sand and they looked more like bricks than feet, then you probably have flat feet. Simply stated, a flat foot is a foot that does not have an arch when standing. In the medical world, flat feet are associated with "pronated" feet. Pronated is merely the term used to describe the position of the foot when it is flexed upward (dorsiflexed), turned away from the body (abducted), and the heel is rolled outward (everted), all at the same time. A certain amount of pronation is required for normal walking, but too much pronation is often considered a foot's "worst enemy." Over time, excessive pronation can lead to many unpleasant problems including heel pain, bunions, hammertoes, shin splints, and even knee, hip, or back pain. In fact, one orthopedic surgeon discovered that 95% of his total knee replacement patients and 90% of his total hip replacement patients had flat feet. An easy way to tell if you pronate too much is to take a look at your athletic shoes-excessive wearing of the inside heel (arch side of the shoe) as compared to the outside is a classic indication of excessive pronation. Once the severity and cause of arch and foot pain is determined, a course of corrective and rehabilitative actions can be started. Therapists may use machines and manual therapies to reduce pain and increase circulation to the area to promote healing. Maintenance of fitness levels via modification of activity may be prescribed. Substitute activities that may aggravate the pain and soreness with other activities; for instance, running causes the body to have multiple impacts with the ground, but the use of bicycling, elliptical trainers, step machines, swimming, or ski machines eliminates impact and allows you to continue to maintain and improve your fitness levels. Take medications to help reduce pain and inflammation. Follow up with your doctor until you are better. Tendon transfers: Too much pull of certain muscles and tendons is often the cause of the deformity related with a cavus foot. Moving one of these muscles or tendons may help the foot work better. In addition, patients with a cavus foot may have weakness in moving the foot up, which is sometimes called a foot drop. 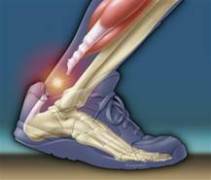 In these cases, a tendon from the back of the ankle may be moved to the top of the foot to help improve strength. Correcting the deformity of the foot may not be possible with soft tissue procedures alone. In these instances, one or more bone cuts (osteotomies) may be needed. Instead of a bone cut, a fusion (arthrodesis) procedure may be used. A fusion removes the joint between two bones so they grow together over time. During a fusion the bones may be held in place with plates or screws. Calcaneal osteotomy: This procedure is performed to bring the heel bone back under the leg. This is needed if correction of the deformity in the front of the foot does not also correct the back of the foot or ankle. A calcaneal osteotomy can be performed several ways and is often held in place with one or more screws. Sometimes patients have a deformity that has caused damage to the joints. In these cases, soft tissue procedures or bone cuts may not be enough, and it may be necessary to eliminate the joint. Clawed toes are a common problem with cavus foot deformity. This can be treated with tendon surgery, fusion or removal of part of the toe bones. Following surgery the toes are often temporarily held in place with pins. Pain in arch of foot, a very common problem for millions of people worldwide who are suffering from this ailment every single day. Whether it's arch pain, heel pain, bunion pain, big toe pain, little toe pain or anything else in between, sore feet are no fun! It's no denying that if your feet aren't right, you feel out of sorts. In this article you will discover the possible causes of the pain in the arches of your feet and common treatments and solutions. Often linked with heel pain, pain in the arch of the foot is very common, particularly in those that spend a lot of time on their feet and those that play sports regularly. Strengthening exercises. Below are two simple strength exercises to help condition the muscles, tendons and joints around the foot and ankle. Plantar Rolling. Place a small tin can or tennis ball under the arch of the affected foot. Slowly move the foot back and forth allowing the tin can or tennis ball to roll around under the arch. This activity will help to stretch, strengthen and massage the affected area. Toe Walking. Stand upright in bare feet and rise up onto the toes and front of the foot. Balance in this position and walk forward in slow, small steps. Maintain an upright, balanced posture, staying as high as possible with each step. Complete three sets of the exercise, with a short break in between sets, for a total of 20 meters. What Tend In Order To Be Chief Brings About As Properly As Indications Associated With A Ruptured Achilles Tendon? The largest tendon within the body, your Achilles tendon is a cord connecting your calf muscles to the heel bone. Additionally referred to end up being able to as “cord involving Achilles,” your tendon will get its name from the hero regarding Greek myth. Based on legend, Achilles ended up being invulnerable everywhere but his heel, where a poisoned arrow eventually felled him. because the blood provide to the Achilles tendon lessens along with age, your tendon gets to end up being able to be susceptible to inflammation and rupture, a fact which usually causes it in order to be a genuine “Achilles heel” for most older patients. Achilles tendon injuries are also common among athletes as well as those who engage in a lot more literally demanding activity. As along with any kind of muscle or perhaps tendon inside the body, your Achilles tendon can be torn if there exists a substantial force or perhaps stress upon it. This kind of sometimes happens together with actions that entail a new forceful push off with most the foot, for example, within football, running, basketball, diving, and tennis. The Particular push off movement uses a powerful contraction of the calf muscles which throughout turn may tension the Achilles tendon too much. Your Achilles tendon can also be damaged by injuries such as falls, if the foot is suddenly forced in to an upward-pointing position, this movement stretches the particular tendon. Yet Another possible injury is a deep cut at the rear in the ankle, which usually might go in for anyone to the tendon. Sometimes the Achilles tendon will be weak, rendering it much more prone in order to rupture. Aspects in which weaken the particular Achilles tendon tend to be as follows. Corticosteroid medication (such as prednisolone) - mainly if it is used as long-term treatment rather than a brief course. Corticosteroid injection near the Achilles tendon. Particular uncommon health-related conditions, such as Cushing's syndrome, where the physique tends to make an excessive amount of regarding its corticosteroid hormones. Growing age. Tendonitis (inflammation) in the Achilles tendon. Various Other health-related conditions which usually can easily make the tendon much more prone to always be in the position to rupture; for example, rheumatoid arthritis, gout and systemic lupus erythematosus (SLE), lupus. certain antibiotic medicines may slightly increase the actual likelihood of having an Achilles tendon rupture. They are the actual quinolone antibiotics like ciprofloxacin and also ofloxacin. Your likelihood of through an Achilles tendon rupture using these antibiotics can be really extremely low, and also mainly applies if you will also be getting corticosteroid medication or perhaps are generally over the age of with regards to 60. A classic manifestation of an Achilles tendon rupture will become the sensation involving getting hit inside the Achilles are. There is normally a "pop" sound. Right now there could become little pain, but the individual may not really lift up on his toes whilst weight bearing. The real location of an Achilles tendon rupture can not be seen on x-ray. Therefore, although x-rays tend to be completed to exclude bony injuries in individuals with an Achilles tendon rupture these x-rays are generally typically normal. Diagnostic ultrasound with the tendon can be performed to assess your integrity with the tendon. Some Other diagnostic tests, like MRI's, may also become required in challenging cases. You may need to use a plaster cast, brace or even boot in your lower leg with regard to 6 in order to 8 weeks to help the tendon heal. In Your course Of this time, your physician will alter the cast the number of times to produce positive your tendon heals inside the right way. If your tendon is partially ruptured, your physician will probably advise one to have this therapy instead of surgery. It’s additionally suitable for people who aren't very actually active. However, there's a higher danger that the tendon will rupture again, in comparison with surgery. your doctor will advise you which usually remedy is better regarding you. Referral to a surgeon with regard to open up or even percutaneous repair with the tendon can be usually necessary, then an immobilisation period. Useful bracing and early mobilisation are generally becoming more widely used postoperatively. Presently there isn't any definitive protocol with regard to this and it might differ, depending about the surgeon. Operative treatment features a reduced potential for re-rupture in contrast with conservative therapy (3.5% versus 12.6%) along together with a higher percentage associated with patients returning for the exact same degree of sporting exercise (57% versus 29%). The Actual patient's desired practical outcome and comorbidities that will affect healing will most likely be elements in the decision to end up being in the position to operate.